I love me a good churro, and I love me some fried chicken and waffles. 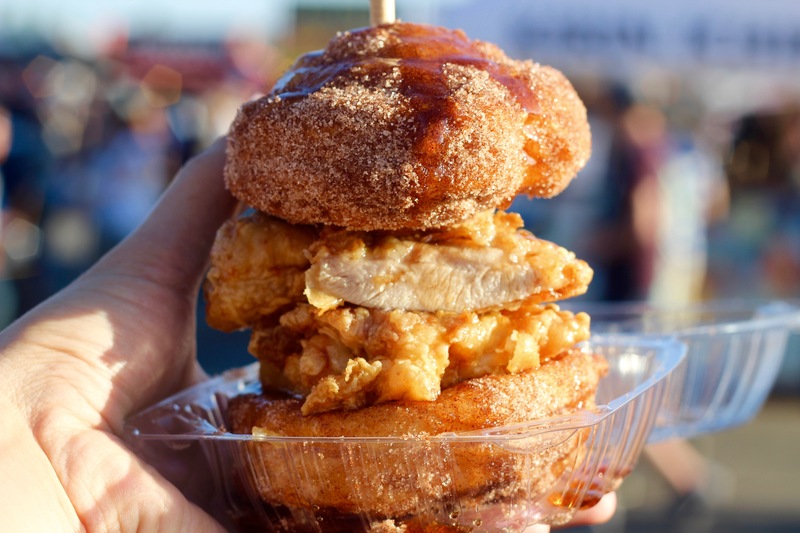 While this sandwich of churro “buns,” fried chicken and maple butter isn’t exactly how you would picture a churro, it is easily the must gluttonously delicious thing I could find at the 626 Night Market and worth every penny/calorie. 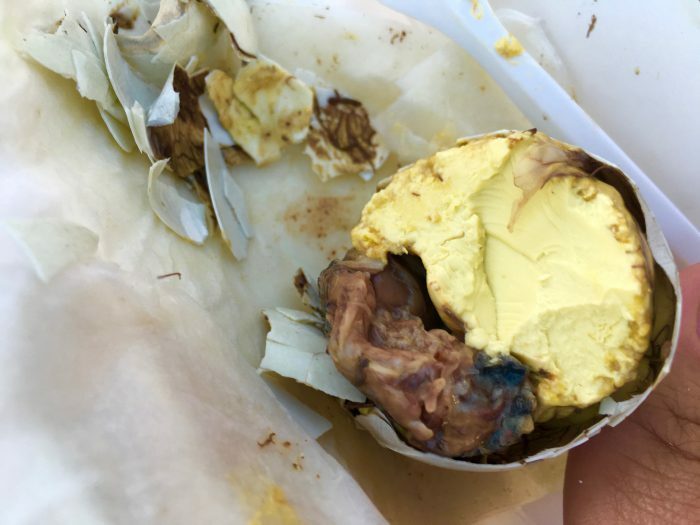 I don’t know about you, but I’m not a big fan of sweet red beans. 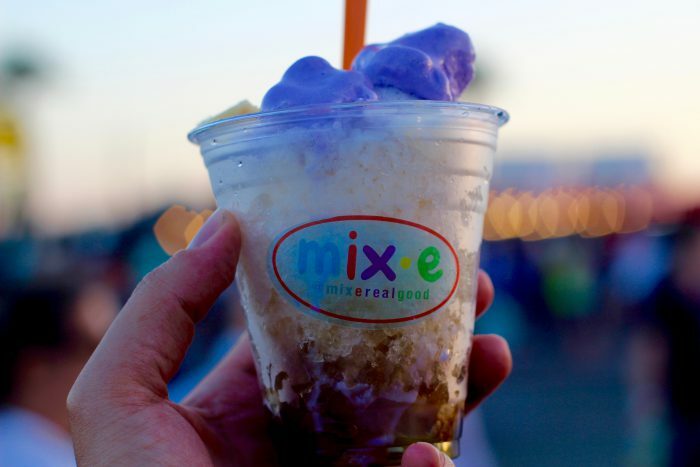 Maybe it’s the gringo in me, but I love me some Halo Halo, a Filipino dessert filled with crushed ice, coconut, jellies, ube ice cream and pudding, plus those sweet beans. Fortunately, Mix*E offers a beanless version that is fantastic.